Imagine you have a team with an all-star caliber guard in his prime, a lottery pick in the draft, a couple intriguing young players, and a fair amount of cap space. Now imagine you were presented with the opportunity to acquire Anthony Davis at only the cost of opportunity. Would you go for it? Most people would argue you would be a fool not to try and add a generational level super-star in Anthony Davis. David Griffin would be one of those people. 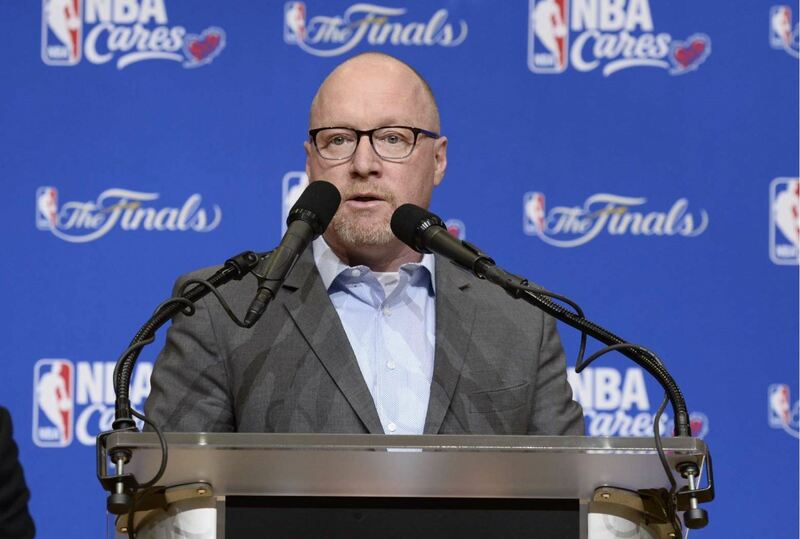 David Griffin made headlines during his introductory press conference when went out of his way to mention his great relationship with Klutch Sports. Most people, including myself, were caught off guard by this unexpected public declaration. Surely Griffin is bluffing? I mean after the agonizing past few months, New Orleans as a collective whole is ready to move on from Anthony Davis. Who could possibly want to endure more? But Griffin doesn’t see it that way. Why should he care about the events leading up the the eventual falling out between Davis and the Pelicans? After all, it was not Griffin who was in charge of steering the ship to its destination. To Griffin, this situation is nothing but opportunity. He already has a roster with considerable flexibility and a star in Jrue Holiday. That is his meat and potatoes. Adding Anthony Davis to that dish would be gravy. However a plan such as this requires endorsement from multiple parties before Griffin even attempts to sell Davis on the idea of staying. In order, Griffin needs sign off from the following groups: ownership, Jrue Holiday, and the coaching staff. Ownership approval sounds difficult given the mockery Davis and Klutch attempted to make of the Pelicans, but as a small market owner, Benson would happily welcome back the young superstar. At the end of the day, Davis lifts the ceiling of the franchise like few players can and likely provides the easiest path to contention. I’m going to skip Jrue here for a second to say the same logic applies to selling this to the coaching staff. Alvin and his team would love to coach a winner and the easiest way to do that is with a top 10 player on the roster. Back to Jrue. I listed Jrue as the second most important factor after ownership because this is truly his team. Jrue is the “franchise” player and has earned the right to be involved in conversations regarding the direction of the team. It’s also something he welcomes.The lens this whole proposition needs to be viewed through is this is Jrue’s team and you’re evaluating the pros and cons of adding Anthony Davis to it. For years the Pelicans have operated off a Davis centric agenda. Every move made was done with one eye on the star’s satisfaction and another on his looming free agency. We have seen the results of that process played out. It’s time to shift the focus on Jrue and what’s best for the team around him going forward. If the answer is Anthony Davis, then Davis will need to learn how to operate in a situation where the world does not revolve around him. In fact, placing Davis in a role where he isn’t artificially expected to be a leader may improve things for all parties. So the question then becomes – will Jrue want Davis back? It’s a fair question to ask given how Davis left his teammates out to dry on the back half of the season. However, Davis’s teammates understand better than anyone that this is a business. Davis was simply looking out for his own best interests. I think Jrue can empathize with that on a deeper level given his standing as Davis’s longest tenured teammate. After all, Jrue did mention how Davis was “90 percent of the reason” he re-signed. Assuming all these parties agree on bringing Davis back, what is the actual sell to Davis? Well it starts with Davis either being “all the way in or all the way out” as Griffin so famously stated in his press conference. To me, “all the way in” is signing the designated veteran extension Davis qualifies for – i.e. the supermax. By signing this extension, Davis can secure the richest deal in NBA history. This in and of itself is a huge sell and always has been regardless of Davis’s stance on legacy over money. If Davis opts not to sign this extension, he can still come close to netting a deal that approaches the value of the supermax, but this only applies if he re-signs with the team at acquires his bird rights. If Davis gets traded to a team he is not willing to re-sign with, he will forgo tens of millions more dollars. There is a huge financial cost associated with each step away from the supermax. To establish if Davis is “all the way in”, Griffin needs to make sure how committed Davis truly is to winning. During all-star break, Davis mentioned all 29 teams are on his list of destinations and he is looking for an organization that is committed to winning. Griffin needs to take Davis at his word and show him there needs to be a 30th team. The Pelicans are now a different organization with the resources to build something great. It is effectively a free agency pitch – with Griffin selling his vision of success to Davis and demonstrating the organization’s considerable change in operations. Money, culture, home. That’s a pretty solid pitch if you ask me. Still, Griffin has a few cards up his sleeve that can offer meaningful improvement to the roster over the next year. The Pelicans only have around $75 million in guaranteed salary on the books this summer. They have over $20 million in expiring contracts, with the ability to raise that number by guaranteeing a few small contracts. They also have the 7th pick (potentially higher) in the draft, all future first round picks, and a litany of second round picks acquired at the deadline. The Pelicans are even in a position where they can trade back to back first round picks as they did for a young all-star in Jrue years ago. This is probably the most asset rich and cap flexible the team has been in all of Davis’s tenure. In short, the Pelicans have the ability to aggressively pursue upgrades in both the trade market and in free agency. 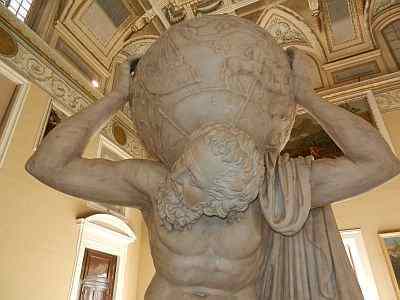 How aggressive Griffin is will predicate on Davis. All the way in, or all the way out. Both sides need to be in complete agreement for deal like this to go through. From Davis’s side, he gives up a considerable amount of control the moment he signs the extension. For starters, players signing the designated veteran extension are not eligible for trade for one whole year from the date of the signature. At the very least, Davis faces the possibility of spending another year of his prime with a team that may not be ready to compete. Secondly, even if both Davis and Griffin have a gentleman’s agreement to trade him in a timely fashion after he becomes eligible (something I would definitely include as part of the pitch – secure the bag and find a new home), Davis has to put a considerable amount of trust in Griffin to uphold the agreement. Once the contract is signed, Griffin is under no obligation to meet Davis’s demands. Now there is no reason believe Griffin will renege on his words and it goes against his modus operandi, but Davis is still right to be concerned. At the end of the day it comes down to trust and transparency from both sides – something Griffin wasted no time preaching in his press conference. Do you want to be a part of this? It’s a yes or no question. Honestly, until a few days ago, I had completely moved on from Davis. After months envisioning every possible trade scenario, I did not even entertain the possibility of retaining Davis. But the more I thought about Griffin’s intentions and words, the more this just makes sense. Objectively, Davis on a long-term contract is far more valuable of a trade asset than Davis the flight risk with 1 year left. Davis on a long-term deal allows for the Pelicans to be hyper-aggressive in the short term, knowing assets can be recouped by trading Davis in the future. Now Griffin will likely still be answering all trade calls regarding Davis while he is campaigning for the star to stay. The image he will be projecting on those calls will not be unlike the Thunder’s confidence in keeping Paul George at the deadline last year. We are optimistic Davis will come around. When doing nothing is a realistic threat, it changes the market. When signing an extension is a realistic threat, it forces the market to cater to you. That is the leverage play – that is negotiating from a position of strength. Keep Davis, and you keep a star. Trade Davis, and you acquire a warchest. It’s a win-win for David Griffin. Shamit and Mason break down all things related to the Pelicans’ hiring of David Griffin to be the team’s Executive VP of basketball operations. Shamit & Mason discuss the emergence of Christian Wood, Boogie’s latest comments about the Pelicans, and the latest updates on the Pelicans’ GM search. 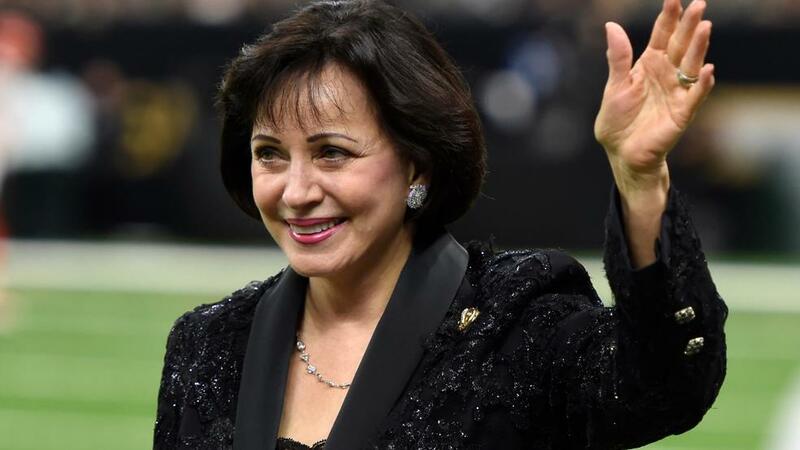 It’s just been a little over a full calendar year since Tom Benson died and current New Orleans Saints and Pelicans owner Gayle Benson is still having to answer questions about whether or not she will sell her NBA franchise, despite little evidence that should point anyone to believe she would ever entertain such an idea. How and why does a false narrative get promoted, and worse, accepted so much by both members of the media and the general public? For one, there is always some motivation from those who live in the land of major markets to paint pictures of doom for superstars playing in small markets just for the sake of disruption. Honestly, the method works as it appears these narratives are now a concern for Anthony Davis who has now expressed his desire to be traded from the Pelicans, despite the team being one of the better postseason competitors in the Western Conference a season ago. In this process, we’ve seen how powerful the media market of Los Angeles is. When they decide to make you a target, a large portion of a league’s fans will believe a skewed version of your story. The lines get drilled into people’s minds like the worst kind of cult pledge. It also seems that to champion the quest to return the NBA to Seattle is a way for many fans and media members alike look like some basketball good guys. Though they never went out on a limb to criticize the league for the Sonics’ controversial relocation from Seattle to Oklahoma City, calling for a path in which a city that doesn’t really “deserve” a team gives up theirs to the home of Starbucks makes it look like they are fighting for the “right” cause. Ever since the NBA secured the New Orleans market through temporary ownership until they found new owners in Tom and Gayle Benson, the Pelicans have been the target. No matter what the facts are, everything the Pelicans do that does not translate to wins will be used for Seattle virtue signaling. For the lemmings of the world, if you say things that sound like they make sense then it translates to fact. So if we fast-forward to today, the focus is on the boss, Gayle Benson, in her first full year of sole ownership, especially now that we are absolutely certain that the Pelicans are entering a future without Davis. Despite the fact that the Benson family drama between the grandchildren and Tom and Gayle has been settled, there these unspoken suggestions out there that Gayle may be in over her head like this inevitable scenario wasn’t something that has been in preparation for at least over a decade. Unlike the Saints, the Pelicans had loads more work to do to become re-established in a post-Katrina effort, a stance the NBA has made clear in a crowd that chooses to ignore. The first real step was to find stable ownership. With the Pelicans being a future investment for the Bensons, the City of New Orleans, and the NBA; it should be obvious the future has always been Gayle. Tom Benson always made that clear, and he always made it clear that hers was the loudest voice when it came to a purchase decision. The narrative that Gayle is a clueless “gold digger” was created by the legal team of her grandchildren in a battle for the future of the Benson empire. Too many have kept that narrative alive with no more evidence than the fact that she is a lady who was once married to a very wealthy man. Some, including members of professional media, appear to be okay with the gold digger narrative simply because Gayle did not have a highly publicized profile to those outside of New Orleans. This is all totally unfair to Gayle. However, even if the national stage was unaware, the folks down south did know how prominent Gayle was in the family business over the last several years as she was there in every meeting and moment in recent years. On the same day Tom Benson died, NFL insider Jason La Confora suggested in the Tweet seen above that Gayle would consider selling the Pelicans for “tax” reasons with no evidence or explanation. Bill Simmons, noted Boston Celtics and Anthony Davis fan, referred to Gayle as “that widow” on The Russillo Show and insinuated that she was a gold digger, saying she “had no credentials”. I get framing your favorite narrative, but why on a personal level? Why her? And why is she not celebrated for being one of four women that is an NFL owner and one of four women that is an NBA owner? This a huge role and she was there every step of the way staring down Anthony Davis, LeBron James, Rich Paul, and Magic Johnson as they tried to strongarm her franchise. She was gracious enough to let Dell Demps take his Davis project as far as it could go and battle worn enough to let him go when it ended. In my mind, Gayle has already displayed tough leadership and the right stuff to carry out their plans for the franchise that were drawn up years ago. Yet, again, a year later, she is still answering questions about a team sale. All the while, Gayle has handled it like a boss. She’s smiled and continues to work and stay engaged. She has also laughed off the haters, as she should. If history proves anything, it’s those who are underestimated who disrupt the status quo the most. Shamit and Mason answer your questions about the Pelicans. Will Jrue Holiday finish his career in New Orleans? Who are some free agent big men that the Pels should consider? AD trade packages? Ja over Zion? (Yes, that last one was an actual question asked.) Find out their answers to those and more on this week’s episode. Shamit and Mason discuss the activity, or lack thereof, of the Pelicans ownership since firing Dell Demps. They also go down the roster and try to predict who will be on the team next year. Shamit & Mason share their thoughts on the Pelicans’ local presence and the team’s recent play with and without AD before digging into the commentary surrounding Davis’ current standing both straight from the source (on HBO’s “The Shop”) as well as from NBA league commissioner Adam Silver. There are two ways a team can decide to operate going into the summer: as a cap space team, or as an over-the-cap team with only exceptions at their disposal. How cap space teams allocate their cap room varies depending upon the goals of an organization, and for all intents and purposes the Pelicans will most likely be operating as a cap space team this summer. The following will be with that in mind. Some teams clear all their room in previous years to attempt to sign max players to long term deals, some teams know that they’re not quite ready to compete so they take contracts for teams trying to save money and get further away from the ever looming tax. The Nets did this past summer taking Kenneth Faried and Darrell Arthur in exchange for the Nuggets 2019 first and 2020 second round picks. Other teams sign veterans to short term, large inflated deals with the intention of trading them for assets or players who are under a long term contract. Most recently the Suns signed Ariza to a one year 15 million dollar deal who was traded to the wizards for a young player in Kelly Oubre they can make a decision on in the summer. The Bulls also did this signing Jabari Parker to a two year 40 million dollar deal with a team option for the summer. They traded Parker for a player in Otto Porter who everything about his game said, I need to be utilized more, and so far it’s working out. What the Pelicans should do is give Julius Randle (assuming he opts out of his current deal) the Jabari deal, or close to it. Why it makes sense for the Pelicans: The Pelicans, however you want to look at it will be operating differently than they have in the past few summers. They will be tasked with getting the best offer they can in return for Anthony Davis, spending a ton of time investing resources into this draft (The Anthony Davis deal will be agreed upon before the draft for this reason), a new GM will be hired and the entire basketball structure is going to be retooled. Whatever happens, their goals will be astronomically different than in years past. Now let’s assume the Pelicans will get at least one extra first in this year’s draft from the AD trade, plus their own lottery pick and their two second-rounders. They will most likely leave the draft with 3-4 rookies so this in a way scratches the idea of taking back a long term contract for draft picks this year. They almost assuredly will not be signing a max free agent this summer. I believe they should operate with the intention of signing veterans to short term inflated deals, so why not one of their own? Here’s why there is a twofold reason to use their cap for Julius Randle. Let’s say they give him something similar to what Parker(2/40 TO) received from the bulls, in the realm of 17.5 per so say 2/35 player or team option. They can use this as a tool to operate at the next deadline (along with their other 20 million in expiring in Hill and Moore), take long term salary for picks, players you want to invest in, facilitate other trades, or Randle starts to fit defensively and becomes a great cog in the team and the Pelicans decide to keep him long term. After an extremely tumultuous year with your franchise star asking for greener grass and brighter horizons, signing some of their own free agents back to deals also sends a message of this place isn’t so bad, despite what other entities want you to believe. 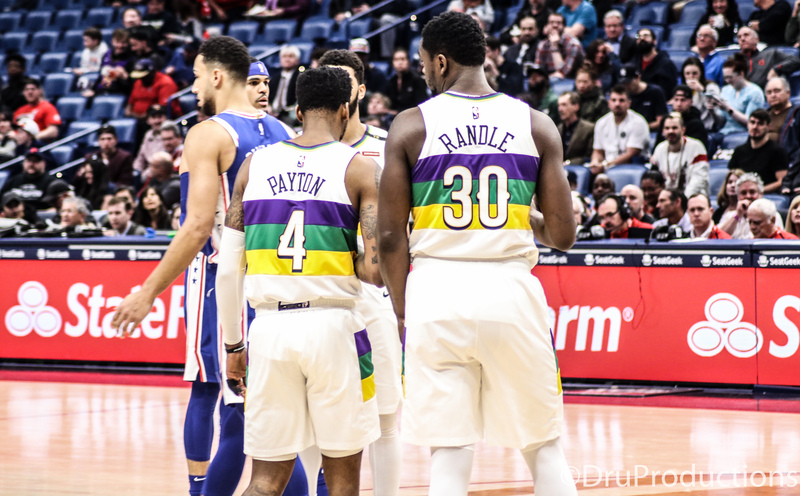 Why it makes sense for Randle: Randle seems to be a bit of a polarizing character among the Pelicans fan base, some absolutely love his scoring, and how he plays downhill basketball. Others think he has too many lapses on defense and his offense is a sort of black hole. I believe it’s probably somewhere in the middle of that, but this isn’t really about these opinions, it’s about why. Randle will most likely opt out of his current deal where he is just making the mid-level exception number of 9 million and it has to be true that the Pelicans and Randle have a mutual interest in reuniting. During the summer of 2020, the cap projected is around 118 million, Randle will by then have 6 seasons under his belt meaning his max is 25% percent of the cap, right under 30 million a year. Paying him around 17 million per year this summer means that in the summer of 2020, The Pelicans, or any team that acquires him can use his early-bird rights (under contract with the same team for 2 years), which pays up to 175% of his last deal which can net him close to his max anyway. He most likely will not be a max player, the point here is that the Pelicans or the receiving team has plenty of options for his next contract, while he compensated very well. This is a lot of assuming, but it shows that a team retooling, rebuilding, soft-rebuilding, whatever you want to call it has plenty of options and each move you make should be with the intention of giving yourself more of them. They aren’t confined with the mandates that come along with a superstar. It’s not necessarily a good or bad thing, it just is. Suddenly almost everything is on the table again, the draft is back, salary for other purposes is back, youth investment is more important. The entire point of this is, paying Randle large short term money along with having 20 million in other expiring contracts gives them more options and broadens the possibilities of the Pelicans future. However we want to look at it the direction is going to be different and that should at least be more exciting, than the beginning of this year where we were saddled as a fan base with the ever-present rumors of a star leaving, and then those rumors were proven true. When Chris Paul was on his way out of New Orleans, it was believed that interest in the NBA was on life support and that the incoming 2012 No. 1 overall pick that would become Anthony Davis was to be the city’s last chance to be relevant in basketball’s global arena. Fast forward to today and we know that Davis wants out despite being eligible for a supermax. It’s also comedically apparent that he desires to join the Los Angeles Lakers, or anywhere else LeBron James and Klutch Sports may have an influence on. So this must mean devastation for the Pelicans’ right to exist, right? There’s no need to clutch your purple, green and gold plastic rosary. These birds will not be trading in their coffee and chicory for espresso anytime soon. That’s because while Anthony Davis did lift New Orleans at times, he was never the city’s savior that would bring longevity. The entire world has been attracted to the physical phenomenon comes along with the evolution and growth of Davis as a player. New Orleans was certainly ready for the ride. In the beginning, it was nice. Davis said all the right things. He won a college national championship in New Orleans with Kentucky and said that he wanted to bring a world championship to New Orleans after he was drafted. Everyone down south appreciated it. However, as time passed some bad luck and some bad franchise decisions surrounded the team during Davis’ seven years here. His team qualified for playoffs only twice. His name often faded from the top of nationally mentioned lists. If a team is failing you it is natural to want to move on, especially if winning if what you are after. I won’t catch you up with the dramatics. You should know them by now. Davis wants to play with James in LA. Winning is fun and money is nice, but what he really wants is to be an NBA star. That is the motivation behind hiring Rich Paul and being open to playing with a disappointing Lakers squad alongside an aging James. It’s more than a real possibility that Davis landing somewhere else can make him a better player and make his future team a contender. Though we mostly have received an increasing number of ready-made non-answers to media questions from Davis, reading between lines leads me to believe he wants a major market profile. 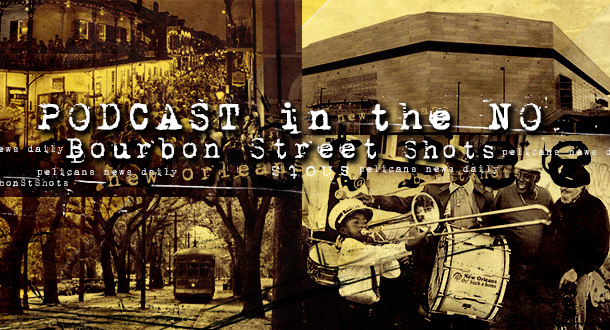 He believes, or at least has been convinced, that superstardom cannot be found in New Orleans. 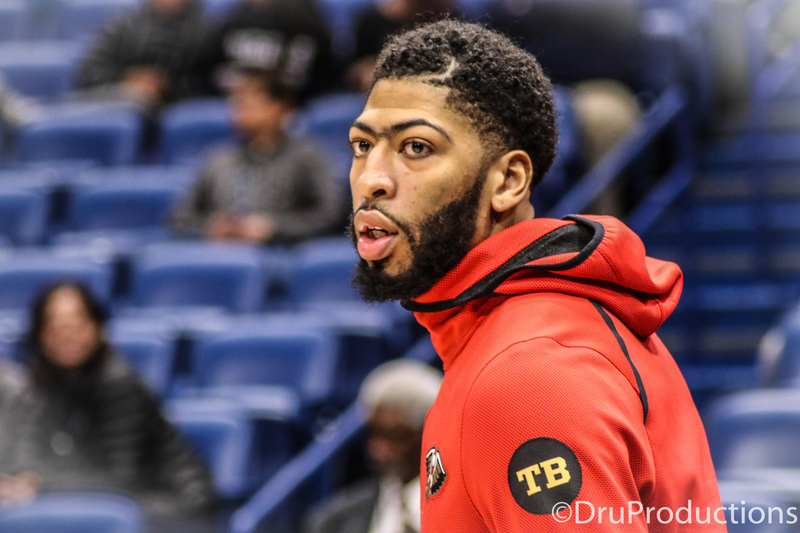 While the Davis era in New Orleans has been disappointing in the win column, should the New Orleans market and the Pelicans be to blame for Davis’s lack of image around the NBA? As time passed in New Orleans, Davis’s profile in the city seemed to drop off. His interview question answers were increasingly more ready-made. Fans in The Big Easy rarely were treated to any insights of his life off of the court. Local basketball fans love Davis for his talent and understand who he is in the grand scale of the NBA. However, he failed to force that cultural bond with the city that the Saints have. While many write that off as “Oh, New Orleans is a football town”, it’s actually more than that. New Orleans is a mood and a state of mind. It also has a chip on its shoulder. The sooner you identify with the desire to be different, you’ll be accepted. Speaking of chips, Davis and Klutch decided to pull their shenanigans at the worst possible time in New Orleans. Really? The day after a fluke no-call kept the Saints out of the Super Bowl? Davis being the type of guy that allows other parties to speak for him seems to have done him some damage in this situation. I’m sure he will move on and be amazing, but for the moment he and his agency have been exposed. Klutch’s attempts to strongarm a franchise and the league to essentially work solely in the interest of James has been cartoonish at best. We have also been exposed to the sad desperation of major market teams like the Lakers and Knicks in how far they will go to reach some type of relevance in dominance again. If Davis didn’t seem to be star-struck, he may realize the hypocrisy of the player he is trying so hard to align himself with. I personally don’t want to express a political opinion here, but I bring this up only because James has welcomed his voice as a critic of the president. If James disapproves of Donald Trump’s actions so much, then why is he mimicking him so much as a businessman and surrounding himself with individuals that do the same, strongarming teams and making ultimatums. Fans in New Orleans wanted Davis to be the guy. They liked seeing him dominate and win. They loved him but they just weren’t in love with him. His dunks excited them, but he did not inspire a mania. Fans seemed to be more excited about drafting Buddy Hield or acquiring DeMarcus Cousins via trading Hield because both of those players had a story, personality, and built a relationship with the city. Both of those acquired players could have been New Orleans stars and both were sacrificed in favor of Davis. The less talented remaining players seem happier on the court. They’re winning more games as Davis sees the court less. Jrue Holiday, family man and overall hard worker, seems to have assumed the leadership role and fans are “Jruing it big” out there. Everyone is just playing ball and not having to worry about if they are facilitating Davis enough. No fingers pointed. Is Davis truly elite then? Yes. Should he have a shoe deal by now? Probably. But is the lack of a shoe deal to blame because New Orleans is such a bad market? Or is it because Davis was a world-class talent that couldn’t inspire an intimate market to be crazy about him? You can say they would rather watch football, but ask people in bars in barbershops what they remember about Pete Maravich. Would they tell you that the pistol was a failure because the Jazz never reached the playoffs? Likely you’d be locked into an old man story about “the greatest guard you ever saw”. With Davis, it seems we’ll forget about the Portland finger point with Holiday and likely remember the time he headed to the locker room, again, and like Elvis, left the building with Rich Paul on national television. Holiday will be a fitting elder statesman. If the future additions are Zion Williamson, Jayson Tatum, or whoever else, I am willing to bet the city will embrace anyone that opens their arms the widest. I was saving this fun little cap note for the offseason, but I think I’ll share it now as a send off for Demps. My commentary on his era will come in time, but, for now, let’s just look at what might be the last cap wrinkle Dell left behind. Punchline: Don’t freak out if Okafor’s option is declined, because they might be giving him a raise. If he plays the contract out, his Early Bird Rights will be established. So, what we see is that the contract is very team-friendly in just about every respect, save the small guarantees. This makes sense, and I go into more detail in the linked article, but the summary is that the team is very well-protected against him performing poorly. But . . . does it strike you odd that there would be a team option on a mostly-nonguaranteed season? If Dell got the negotiation to the point where the second year of the contract may not be picked up, why not just make it non-guaranteed? Why does Okafor agree to a team option to keep the guarantee from hitting if he negotiated a guarantee? He should just say, “No, I get that small guarantee, no option.” It seems a shaky middle-ground to assume over ~$55k. Here’s why I think it was done: To pay Okafor more in case he plays well. Why pay him more? If he’s doing well, show him (and others) that you are supporting players who do well on their “resurrection” contracts in NOLA. In other words, it’s a (mostly) hidden, unofficial player-friendly incentive, plus paying a player more can also have some value beyond just keeping the player happy, as well, such as with the cap. Without the team option present, if the Pelicans wanted to give Okafor a raise, they would have to waive him to get out of the contract. At that point, other teams can claim him. If he’s doing well, in which case he’d deserve a raise, someone would in fact claim him, and you couldn’t actually start the process to pay him more. All parties then have to wait for the Early Bird Rights in 2020. So, the deal not only protects the team in case Okafor did not pan out, but it also has some room to give him a little bump as encouragement and save the team some money in the process, all while holding true to the spirit of the original deal. It’s a great use of the cap to watch out for all parties. Okafor could get a larger, Non-Bird raise, in fact, depending on the situation, if they end up over the cap. If under the cap, whatever. Either way, putting this mechanism in place is the interesting move, not how the world happens to work out. At any rate, the punchline is “don’t freak out if they decline Okafor’s option,” as I said above; it may be for the benefit of everyone. I know Dell liked it when people understood his work, like most people do. I moved this up in the queue to give the guy a little boost after a rough time. Shamit and Mason are joined by Justin Rowan and Carter Rodriguez of The Chase Down, a Cavaliers-focused podcast (also within the Blue Wire network). They discuss the similarities between the two franchises in regards to the loss of superstars (AD and LeBron/Kyrie) as well as what to do with the sidekicks (Jrue and Love) before wrapping up with some talk about whether or not David Griffin would make sense as the Pelicans’ next GM. 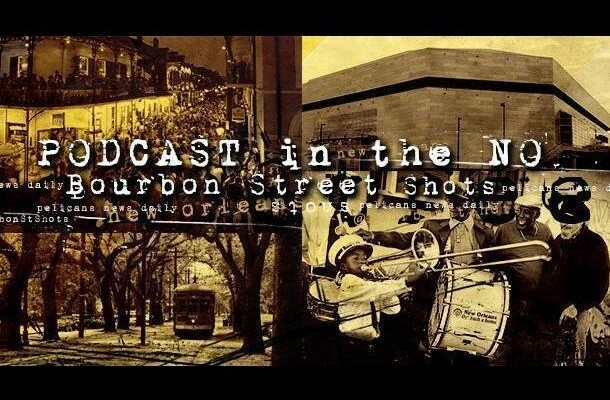 Shamit and Mason are joined by former CelticsHub.com EIC Ryan Bernardoni to talk about Boston’s pursuit of Anthony Davis, possible trade packages for AD, and current Celtics Assistant GM Mike Zarren’s potential candidacy for the vacant Pelicans GM job. The moment Anthony Davis made his desires for greener pastures known to management, Dell Demps was on borrowed time. Seven years of team building came crashing down with a single WOJbomb. But even before Rich Paul and Davis set their plan in motion, there were rumbles in local media circles that owner Gayle Benson was considering a “clean house” at the end of the season. The idea behind this strategy was to get a fresh GM to make a final pitch to Davis in an effort to secure his extension before owning the inevitable trade. Well life rarely works out the way you want it to. Davis and Paul threw a wrench in everyone’s plans by going public with a trade request two weeks before the trade deadline and trying to strongarm their way to Los Angeles. What resulted was a “dumpster fire” of a media circus that is somehow still on-going. The Pelicans and Dell Demps, however, did not back down, choosing to respond with force in wildly public negotiations. The Pelicans did not stop there. You see, a superstar trade request is a foundation shaking event. The Pelicans organization was forced into an early and comprehensive self reflection. They were acutely aware of the league-wide perception of a disinterested ownership which prioritizes football and cuts corners when it comes to the billion dollar basketball franchise it also owns. Despite emphatic internal claims that such a notion is completely false, the Pelicans organization knew that status quo was no longer an option. Thus another plan set in motion, concurrent with the trade handlings. This was the plan to build Gayle Benson. Amid the chaos, the Pelicans ownership cohort saw an opportunity to not only overhaul the operations department, but to reshape the image that has become associated with the organization during the Davis era. If you haven’t had the opportunity to read this masterful article by Jason Calmes, take some time to digest it, as it painstakingly outlines the roles and responsibilities of those in the ownership trust. In the article, Jason suggests that the departure of a manager can be a way of empowering the successor. What Jason didn’t see, however, was the organization using the ousting of Dell Demps as the foundation to build the mythos of Gayle Benson. Every media release since the trade request, public or sourced, has generally done one of two things: associate Dell Demps with an unpopular position or frame Benson as a deeply committed and decisive owner. From the start, the messaging form the Pelicans camp insinuated that this trade decision was not Demps’s to make. Nevermind that league sources tell Bourbon Street Shots that Demps never wanted the Lakers trade, period – he would not be owning the decision. It would be Gayle Benson “enthusiastically carrying the small-market banner, pushing back on any planned superstar union of James and Davis in the NBA’s glamour market.” After the trade deadline passed and the Pelicans were faced with the decision to play or sit Davis, the organization deliberately attached Demps’s name to the press release declaring Davis will finish out the season as normal. It painted the decision as Demps’s and the organization was cognizant on possible lashback from the fanbase. Only later did reports surface that the NBA itself applied pressure on the organization to play Davis – to the tune of $100,000 per game if Davis and his agent were to succeed in the grievance they were threatening to file. I can’t say if the Pelicans organization foresaw the situation playing out in this fashion, but the pushback from the league and ensuing awkwardness set up the next sequence of events rather perfectly. Davis has played in 3 home games since the trade deadline, each accompanied with an orchestra of boos. Fans watch in anger as the team appears largely listless each possession Davis is on the court. 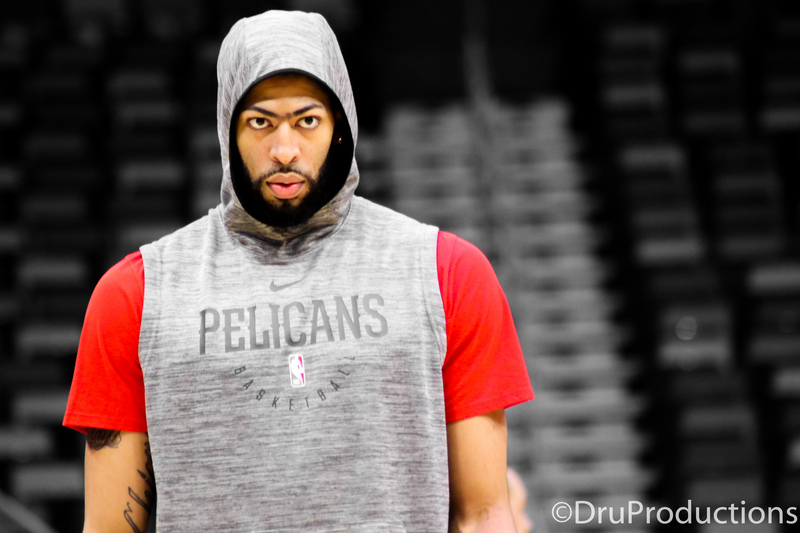 The spectacle precipitated this past Thursday when Davis ignominiously walked out of the Smoothie King Center mid-game, trailing agent, Rich Paul. Alvin Gentry was caught unaware in the postgame media scrum and rightfully livid. Ownership was as well, and by the next morning Dell Demps had been dismissed. The series of statements around Dell Demps’s dismissal congeal to iterate a singular message – Gayle Benson is taking control. Once again, the Pelicans took to Adrian Wojnarowski of ESPN to relay their message. Emphasis mine. Can you see the picture now? A livid owner, heavily invested in the success of her franchise is pulling out all the stops to protect the future of her team. Meanwhile, there is a clear effort to scrub the Pelicans of the “football” image that has tainted them in the past. The previous organizational structure had Demps reporting directly to Mickey Loomis (Executive Vice President and General Manager of the New Orleans Saints). The Pelicans statement illustrates a clear departure from the previous structure to one that is directly headed by Gayle Benson. The new head of basketball operations is expected to have full authority to execute their vision (with normal ownership checks), and Loomis is expected to resume presiding over a football only role. That is the public message at least. Operationally, there will probably be little change on a day to day basis. Why? Because Gayle Benson was always involved from the beginning. Mickey Loomis has always been more of an ownership figure largely away from basketball decisions than a guy checking Dell’s every move. It’s part of why the organization is incensed at the notion they care about football more and have emphatically denied any such accusations. But they saw the opportunity to correct the narrative and seized it. Gayle Benson’s name will be attached to every major release going forward. The organization will likely make her more front-facing than ever before in an effort to pull back the curtain. Yet behind the curtain, Benson will rely on her trusted advisers, Lauscha, Loomis, and Bensel, to oversee the day to day for both franchises – as is natural for any owner. The football boogeyman was always misguided in their eyes and this is their attempt to bury it. When the franchise is back on stable footing and trending in the right direction, Benson will scale back from the public and the new leader of basketball operations will grow into their own entity. The organization is not out of the weeds yet. Two major decisions still loom outside of the Davis trade itself: what to do with Davis for the remainder of season, and who to hire as the lead decision maker for the Pelicans. The stage is set for Benson to put her stamp on the franchise as each owner before her has done. George Shinn brought the Hornets to New Orleans. David Stern commandeered the team from Shinn and vetoed the Chris Paul trade. Tom Benson stepped into fray by purchasing the team from the league and ushered in the Pelicans era. Gayle now has the opportunity to define the next era, and it starts with Davis. Demps has been set up as the fall guy quite nicely and the Pelicans have a chance to push back against any pressure from the league by decisively removing Davis from team activities. Force Davis and his representation to carry out their threat of a grievance after they made a total mockery of the Pelicans by leaving mid-game only to end up playing in Sunday night’s All-Star exhibition. Even if the Pelicans eventually end up losing the contest on legal standing, Benson will be seen as the owner who went to war for her team. Next, the organization has to nail the next hire. This means not only selecting the right candidate, but enabling them with the financial resources to build a powerful operations team. Whether this structure comes under the common president – general manager organizational tree, or a simpler manager – assistant manager arrangement, the budget allotted to them will drive future success. How it is dressed up does not matter from a functional standpoint. A fleshed out staff is simply a meaningful way to overcome the handicap of being the smallest market in the NBA. In fact, one league source tells Bourbon Street Shots that a large budget will be a prerequisite for potential candidate, David Griffin, in conjunction with total control of personnel decisions. Benson has the chance to leave a long term imprint here and early reports suggest she has every plan of doing so. All eyes will be on Benson over the next several months as they watch her navigate these difficult decisions. The fanbase is primed to buy into Benson as a cult hero, stepping in and erasing the mistakes of the past decade. Hope of a brighter future is easy to sell. It’s no coincidence that Demps was fired with season ticket renewals around the corner (and with All-Star Weekend to steal the attention). Demps dutifully did his job in the weeks leading to his dismissal, and now ownership is up to bat. To the Pelicans credit, they have played the media game flawlessly over the past month. But it’s now time to execute. Everyone is watching – the Davis saga is the best show in the NBA. For years, the keystone in the current era of the New Orleans Pelicans has been Anthony Davis. My mantra for years has been that Davis is the measure of all things the franchise does. 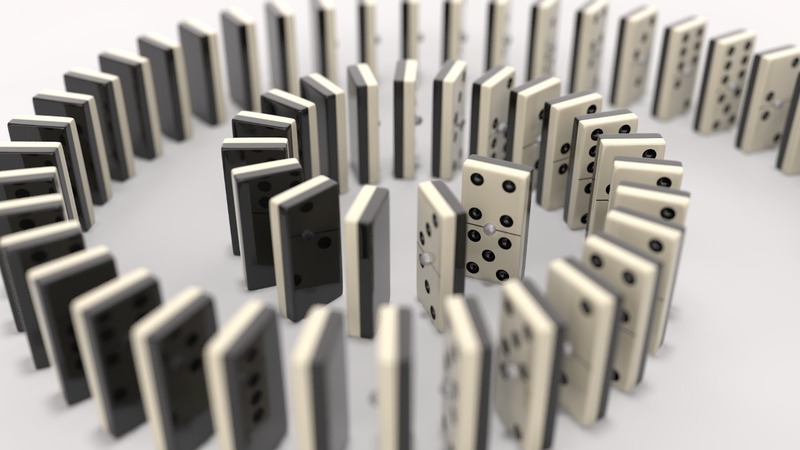 Once that organizing principle was practically removed, you could see the chaotic swirling begin immediately. There are many ways to view the moves, but in light of the departure of Demps at this particular time, I think we start to get the picture that this organization is simply wiping away the prior era as soon and as completely as possible. There are obvious constraints: You can’t reasonably flip a whole team, you need a team that can play for the rest of the season, and you really have to play the Jrue Holiday situation with care. Still, within those constraints, they can make progress toward their goal. Mirotic was clearly the most valuable piece they could part with, so they flipped him. Johnson’s value was in his ability to help Washington get under the tax line and just being able to play (meaning Ajinca netted some playing time and a second rather than costing them something to send out at the prior deadline). Many down-roster players are expiring or could be released with no pain, clearing some space next season on the books and on the roster. Assuming Davis is traded this offseason, that leaves Hill, Moore, and Holiday. Moore can be moved or kept, Hill will likely move out with Davis (though I’m fine with riding out his contract depending on the Davis trade); a Holiday decision requires much more care. The Holiday decision should be left for the next regime to decide with Jrue. The combination of moves sends a message that the Pelicans are looking for someone to come in and have at it. The Pelicans likely could have ended up keeping Mirotic this offseason, but liquidating him now technically leaves open the chance to bring him back (as McNamara has pointed out) while not placing pressure on an incoming hire to “protect” their “assets,” especially high cost ones. They are making it clear that the incoming regime could have the Davis trade in front of them to help kick their era off if they feel it would be a positive, or leave it to Ferry if they view having hands on that move as a negative. They are also potentially setting things up for a total-control hire. If Dell were in place then dismissed by the new President of Basketball Operations, the POBO taking the job himself would be very awkward for ownership . . . was that part of the negotiation . . . how to handle salary . . . etc. This move opens up the door for such a hire, for better or worse. Look at the red carpet they are laying out for that new hire: a choice in how deeply to wade into the Drama, Jrue, roster spots, potential cap room, trade and draft assets, and whatever the Davis return is, on top of what they are promising organizationally. We just better hope the Loomis situation is clear as crystal at the right time. With All-Star Weekend upon us, the Pelicans could perhaps make do some work quickly on this front to help get a new face in and start to direct their own story more completely. The sooner they move on from the characters in the prior era, the sooner they can distance themselves from the plot of that Drama and subordinate Davis to the story of rebuilding, as being a mere asset that they control. Times like these come with great peril, but brands can be built and created, too. What will the Pelicans do at this tragicomic fork in the road? Shamit & Mason review the past 48 hours of non-stop Pelicans news. Anthony Davis leaves the arena mid-game on Thursday night. 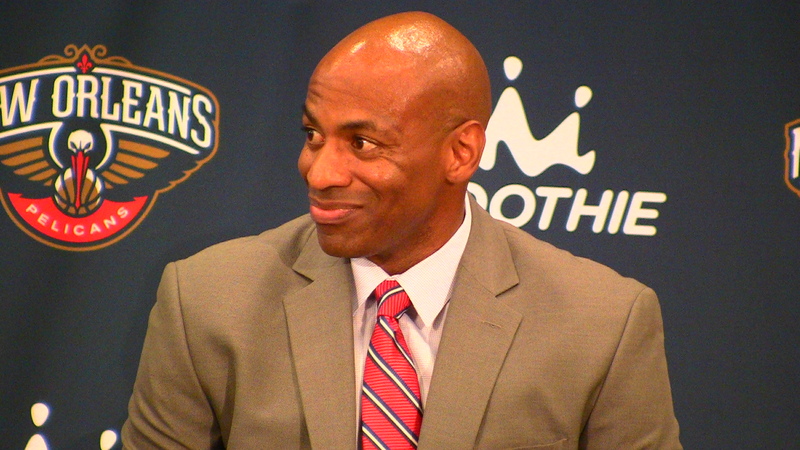 Dell Demps is fired Friday morning. Gayle Benson beautifully lays out the Pelicans’ path forward on Friday afternoon. And AD says a bunch of weird conflicting stuff at his All-Star Weekend media availability on Saturday morning. These changes should all be completed by July 1. Mickey Loomis is the Executive Vice President and General Manager of the New Orleans Saints. He is also the Executive Vice President of Basketball Operations for the New Orleans Pelicans. Perhaps most importantly, but somehow overlooked, Mr. Loomis joins Dennis Lauscha and Greg Bensel on an ownership level. The concept of ownership is blurry enough here to make this confusing, so I’ll explain it here in the rest of this section. It can be skipped if you just spot me this point. The ownership of the team is represented by shares of stock. Ownership can also mean different things. Some of this stock is just about the “right to a share of the money” kind of ownership. Other shares confer voting power, which is control. Now, place that stock into a trust, which is an independent legal entity. It actually has the stock, but the trust as a mere legal entity exists to benefit someone, Ms. Gayle Benson in this case, and it is usually directed by other people. The trust comes with general law governing trusts plus specific rules established by the person that set the trust up, Mr. Tom Benson in this case. Those rules can be guidelines or enforceable by the rule of law, depending on the nature of each rule as how they are laid out. Continuing with the ownership roles, trusts exist for a few reason, but one reason is to control succession. This can be seen in the Benson family drama that played out across many of Mr. Benson’s final years. Central to that battle were the trusts that held various assets, including the different kinds of shares of the sports franchises. Once the court battle ended, it appeared the structure Mr. Benson intended was in place. Mrs. Gayle Benson was to be the heir, and she is now listed as owner. More importantly, no one else is. The fact that the ownership is conferred in this way is a subtle but important consideration. So, here’s where it gets interesting. Who’s next? While it is not clear from the public reports exactly how ownership will pass next, with the shares still remaining in the trust, following some of the control of the organization is clearer. In fact, not much has changed or will change. Mr. Lauscha is still the President of both teams, with his roles being more business and infrastructure focused, not team operations such a player transaction decisions. Greg Bensel is Senior Vice President of Communications for the Saints, Senior Vice President of Communications and Broadcasting for the Pelicans. Importantly, Bensel, Lauscha, and Loomis are also specifically named as decision-makers in the trust, depending on who is alive and other things. Factoring in that Lauscha, for example, represents the organizations at ownership meetings, and you start to see that these men, more so today than last year, are very much more than functionaries. They are the ownership-level figures. These are issues of a very different kind, with different sources, but they all have one cure: clarity. The waters are further clouded by the clinging shadow of the Stern veto. Though this was before current ownership was in place, it is another data point to put into “Demps always has to ask someone” bucket. This is totally irrelevant, but it nevertheless does actually affect the people who are genuinely confused. Ownership is always a check on management. Always. No one should be surprised by this. What is confusing is Loomis appearing in a non-traditional role with an unclear function, Demps is the senior Vice President of Basketball Operations, Lauscha the President of the organization, Loomis might be cast more as the President of Basketball Operations. This is a title that makes sense in the NBA circles. Using the Lakers as a reference, since having a parallel structure to them puts you beyond criticism, we see Jeanie Buss is a CEO, Magic is the President of Basketball Operations, and Tim Harris is over business operations. Rob Pelinka, the general manager, reports to Magic. NBA insiders are not confused by this, right or wrong. Examination of this structure illustrates the problem. Is Loomis more like Magic, who works with Pelinka to the extent that working with Pelinka is equivalent to working with the pair in charge? Or is Loomis more like Jeanie Buss who is more over an oversight on the big picture and major moves? Moreover, as the larger business itself has a non-traditional structure that includes and entire NFL franchise, and Loomis is also a part of that, the fog deepens. Making Loomis Chief Executive Officer seems a reasonable choice. Jeanie Buss and Wyc Grousbeck are both CEO’s in addition to being owners, so there are clear NBA norms set as making that and ownership level title or at least inviting that context. Others would work, of course. I would simply be failing to hold up my end if I did not offer a specific, live option. This may be unacceptable for other reasons. Mr. Loomis, with others consulting him at his pleasure, should then hire a President of Basketball Operations or something of that type. I think that particular title has value, as I noted above. This POBO should be someone from the NBA world who is also not currently in the Benson circle. Avery Johnson and Joe Dumars might be wonderful and trusted advisers. Use them in that capacity. The POBO should be an addition to the circle. More importantly, while both of these men have had NBA success and are clearly from the NBA world, their Louisiana ties cut both ways. If one of them is the best choice by a country mile, so be it, and people will take pride in local leadership. It would, however, be best to continue to bring in outside voices and names for a few reasons, one of which is to give a piece of objective evidence that a real search in NBA circles took place. This would be in contrast to the false narrative that would arise that the decision was near-thoughtless, merely going with easy choice of “your buddy.” If the search fails, you can always fall back to that. As I said, if they are the best candidate, fine, but do the search. That President of Basketball Operations would then shape Basketball Operations according to their desires. As they have been vetted by Ownership, as represented by the CEO at a minimum in this case, the POBO’s goals will align with Ownership’s to a satisfactory level, and the ownership check would be minimal at most. Thus, the POBO should be given total authority, subject to only the normal ownership checks, to hire whomever for General Manager and other staff. It is at this step that the future of Dell Demps should be decided, and it should be decided by the POBO, except in two cases: cause or mutual decision. I’m not even going to entertain cause other than as a logical possibility, but if Demps decides to go for whatever reason and Loomis is ok with that, that should be just fine. What should be avoided is letting Demps go before this point for some sort of “messaging.” The most important message is “the structure:” CEO to POBO, and POBO to GM should be structure, and this order of events uses the GM decision to empower the POBO and set the tone. Mickey Loomis is more than a “football guy,” and people need to get over this lazy attempt to knock the guy. Robert Kraft is not knocked as a paper guy. Malcolm Glazer is not knocked as a fish oil salesman. As owners, their other experiences or the other things in their lives are less of an issue, as owners are seen as needing to be much less active. In fact, that is seen as a plus. So, it’s not what Loomis, others on that level, or what the actual owner does or who they that is really the issue. It’s about the mismatch of expectations. A few real and a few cosmetic changes can go a long way toward making the Pelicans “unremarkable” in all the ways one wants to be unremarkable in the end. The other thing is this: Flat out, the Saints, today, are a bigger business and demand their fair share of resources, including time. They have stronger overall ties then the Pelicans to the local and national sports landscapes for obvious reasons. The idea that this makes the Pelicans unimportant is fallacious, and it ignores what the sports landscape may be like in 25 years. Ownership should tend to all of its investments in the right measure, and this includes actually giving each the proper attention, hiring people to make up the difference, and making sure stakeholders are confident both of these things are happening. This organization is unique, and they should be using their uniqueness to their advantage rather than allowing it to be used against them as it is currently, sometimes by the media they work closely with. Commonality at the top, some staff sharing with some staff specialists, bulk marketing efforts, and more all make sense for Bensonia. Use the uniqueness to impose your internal operational wishes, but make all your partners in all your ventures as comfortable as possible in your dealings by giving them, to the extent possible, what they expect at a minimum with no unpleasant surprises. That will minimize anyone using the uniqueness against you, as they have. Set it all up right and the various aspects of the empire will resonate positively in all circles, especially with your fans, who are an army waiting to rally for you. 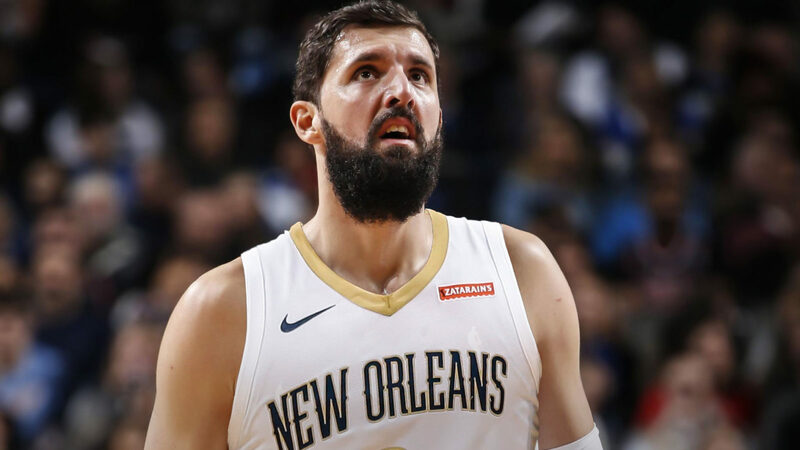 It’s easy to assume that the Pelicans have closed the door on the Western Conference playoffs, contending for a title in the upcoming years, and yes, Nikola Mirotic. After just under one calendar year with the Pelicans, Mirotic was traded to the Milwaukee Bucks on Thursday for Jason Smith, Stanley Johnson, and four 2nd round picks. The Three-kola era has come to an end in the Big Easy. Or has it? The fact is that Nikola Mirotic will be an unrestricted free agent this summer and it is highly unlikely that the Milwaukee Bucks re-sign him. They have other core guys that they have to pay this summer, namely Khris Middleton and Malcolm Brogdon, and they already have a similar player in Ersan Illysova locked up for additional years beyond this one. It appears that Mirotic is a rental, and if that is the case, the Pelicans will have just as good of a chance as any in landing him this summer if they want him. But if they want him so bad, why trade him at the deadline? That is actually pretty simple to answer. First of all, they don’t need him for this year and you can even argue that having him could be a deterrence in what they are trying to accomplish over these next 30 or so games. The sole reason for keeping him would have been to maintain his Bird Rights, but there is a very high probability that the Pelicans will choose to operate with cap room this summer, and in that case, his bird rights are pretty much useless. They can pursue him and give him the contract he desires this summer, in theory, using cap room and therefore there is no value in his bird rights. In essence, they let the Bucks rent Nikola for three months for four second round picks and the Pelicans essentially are in the same position with him as they would have been had he remained on the roster. In fact, you could argue that the Pelicans are in a better position to sign Mirotic this summer at a reasonable price than they would have been had they just kept him. In a situation where a team holds a players’ bird rights, a player often can feel insulted by that teams offer if it comes in below their expectations because the player often argues that there is nothing structurally holding the team back from offering more. This is why you see Boogie insulted by the Pelicans 2 year/40 million dollar offer, but feeling grateful for the 1 year/5.3 million dollar offer the Warriors gave him. Though one offer was substantially more, the Warriors offered him the most they could possibly offer him, and in an egomaniacs eyes, that means they are more valued despite what logic tells you or me. It essentially puts Mirotic and Randle on equal footing now. The Pelicans have bird rights on neither and therefore would have to use cap room on either of them. Just like it would have been had the Pelicans done nothing, New Orleans will have to choose one of them (or neither) and move forward. The difference is that now they can simply make their best offers to both players and put the pressure on both of them to choose, knowing that if the other grabs the offer first, theirs can disappear. And Niko cannot hold his bird rights over the Pelicans head in this new scenario. Oh, and in this scenario, the Pelicans also grabbed four extra assets to move forward with that they wouldn’t have had if they just played out the season and crossed this bridge in the offseason. Yes, it’s possible that Niko might not want to re-visit New Orleans this offseason and by letting him out the building, he may now never consider returning. But more likely, they gave him a chance to have an enjoyable few months in the playoffs, and if the Pelicans put together a roster that would make sense to have Niko on it after they make their AD trade, then the two sides could find a number that works for both of them. The bottom line is that the Pelicans have done nothing to make anybody assume that Mirotic isn’t in their future plans. He might and he might not be. But they have gained some leverage in negotiations and have acquired a couple of assets here while possibly also improving their own draft pick in the process. Oh, and if they put an extra roadblock in Boston’s way that takes them down early and makes them even more desperate for AD this summer….that wouldn’t hurt either.